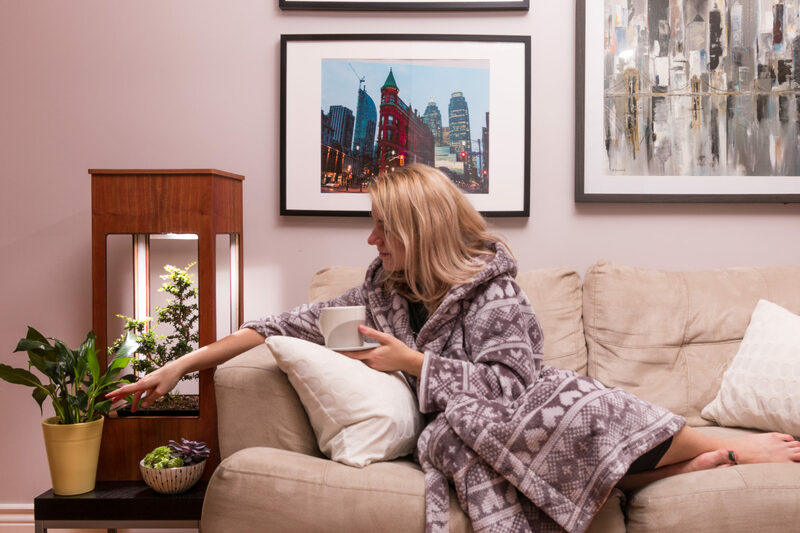 The Secret Garden is a beautiful, automated home cultivator that makes growing at home easy for anyone. 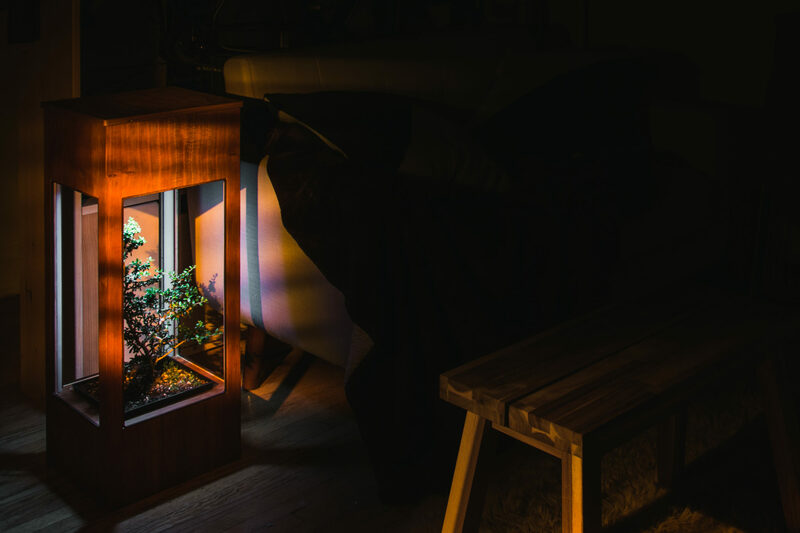 It autonomously manages watering, lighting and nutrient scheduling for your plant, and even has a carbon filtration system that circulates and cleans the air around your plant to reduce smells and prevent mold buildup. 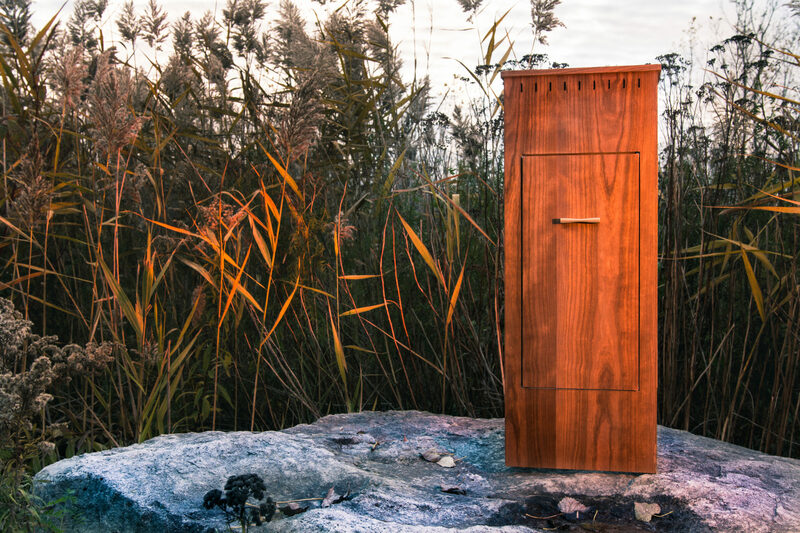 Unlike other grow boxes that hide your plants behind a single door box, The Secret Garden’s beautiful design gives you the option to add or remove side panels, so your plant can be viewed from all angles. It also provides easy access for tending to your plant without having to remove it from the grower. You have a hard time keeping your houseplants alive and want to fix that. You probably want to smell your plants too because this model does not include any side panel doors. This base model is suitable for most houseplants and plants that bare fruit or flowers yearlong. *You can order glass or blackout panel doors at any time. This model comes with blackout panel doors that are sequenced match to the rest of the box, suitable for when you want to control smells and grow some specific plants such as carolina reapers or tomatoes. *You can order glass panel doors at any time. Unlike other grow boxes that hide your plants behind a single door box, The Secret Garden gives you the option to add or remove side panels. 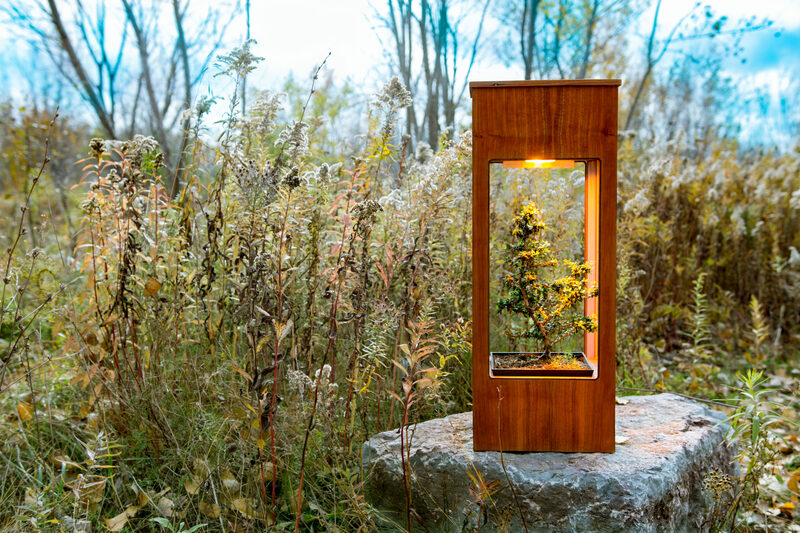 Instead of buying a $3,000 dollar box suited for one plant, you can pay a fraction for something that can be customized on the fly or buy 6 for all of your plants! Add or remove side panel doors to show off your plant from different angles, and make sure you always have access from all sides to tend to your plants. Pruning, shaping and trimming your plants has never been easier! The lighting system consists of blue tinted side lighting that promotes the vegetative growth of your plant and LED lighting that is optimized for flowers and fruit production. 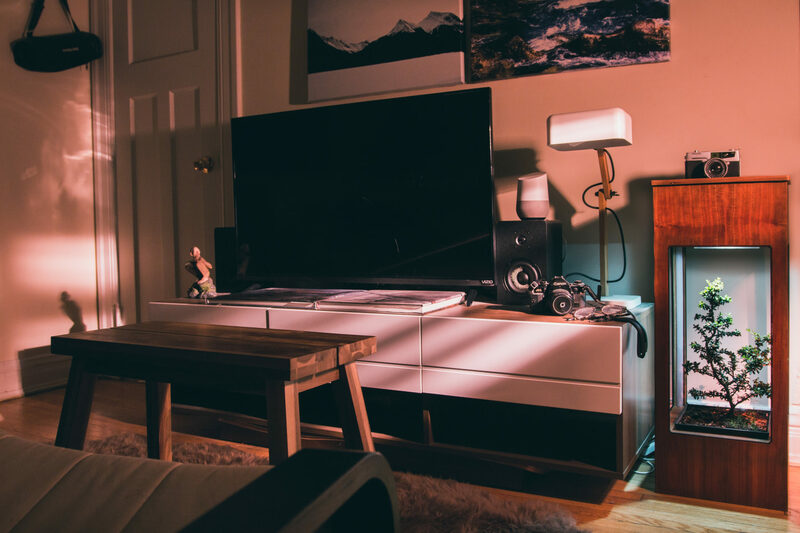 The Secret Garden also comes with a customizable ultra-efficient auto-dimming system that dims the lights when you’re home, providing you with a soft glow. When you’re not home, the lights are set to full power, ensuring that your plant is getting all of the light it needs. The Secret Garden also has an electrical management system that ensures there is no wasted energy- it costs only $1-2/month in electricity! The Secret Garden uses an environmentally friendly, self-watering method that provides water and nutrients to your plant, based on that specific plant’s needs. The pot is also adjustable, allowing for greater customization over your grow. Some plants like drier soil, some like wetter soil, and The Secret Garden can do it all. 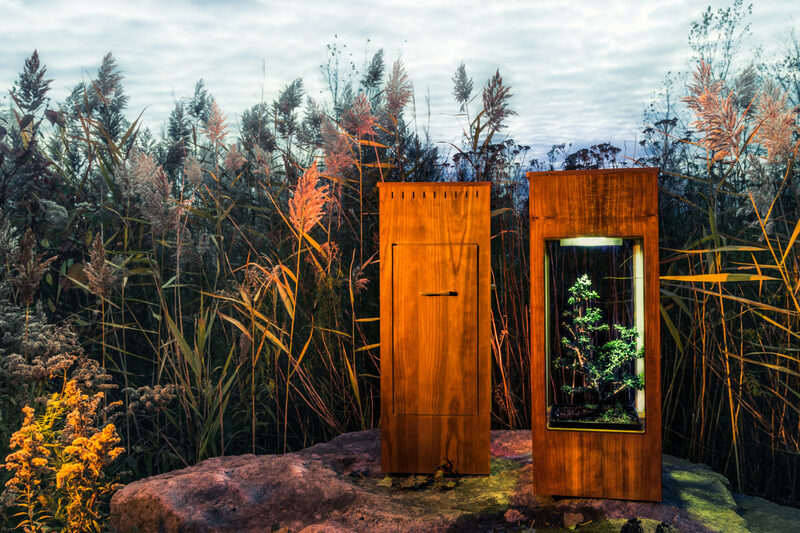 The Secret Garden uses a carbon filtration system and a discreet fan that circulates the air, ensuring that the internal environment is properly adjusted. Combined with our blackout panels, the system also cleans the air of all unwanted odors. 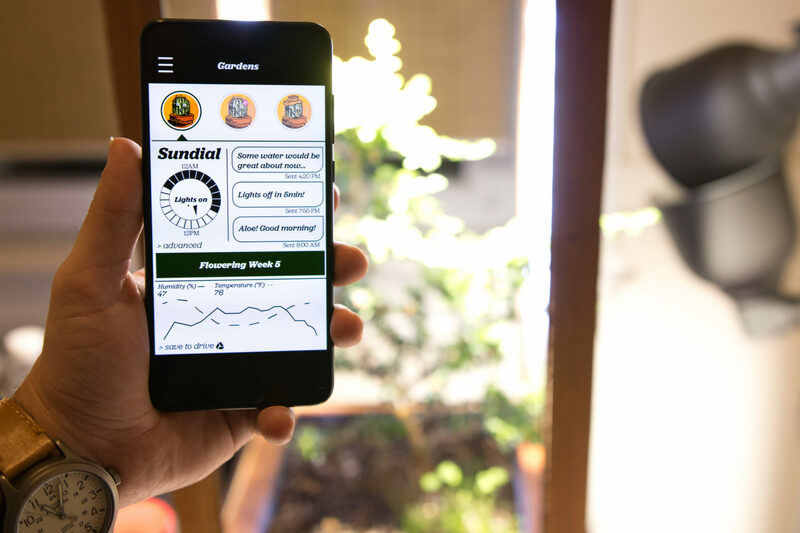 The app gives you 24-hour access to your secret garden’s temperature and humidity levels, as well as the height of your plant (thanks to ultrasonic height detectors). 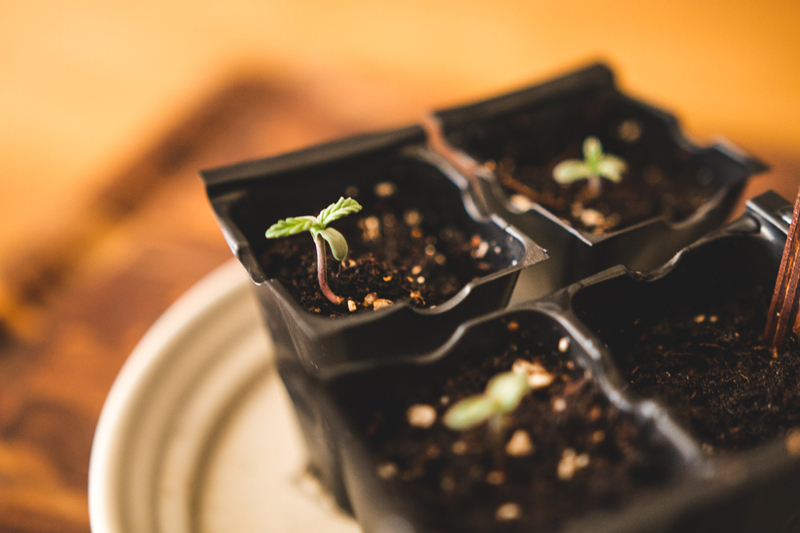 It provides you with reminders for water and nutrient refilling, as well as useful tips to help your specific plant grow. And, you can fully customize the light schedule by using the sundial if you want to experiment! The app can also connect multiple Secret Gardens and compare your different grows. While you are free to use your own nutrients of choice (we all have favorites, and that’s ok! ), we also offer organic nutrients with no harmful chemicals. Our natural, slow-release nutrients ensure that your plants get all of the nutrients they need at the right dosage. Nutrient information: 2.6% nitrogen, 2.5% available phosphoric acid, 1.7% soluble potash,1.7% calcium, 0.6% Magnesium,0.15% sodium. One of the best parts about The Secret Garden is the amount of beauty it adds to the aesthetic of your home. 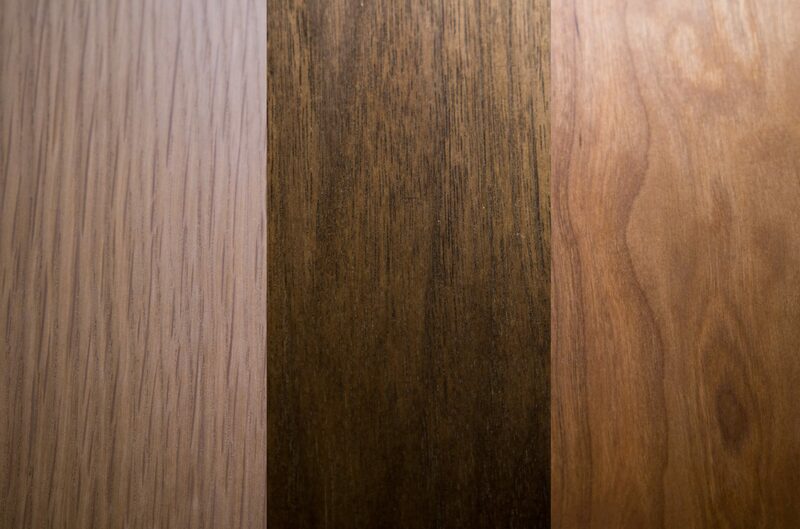 White Oak, Walnut and Cherry options provide you with the opportunity for ultimate personalization.